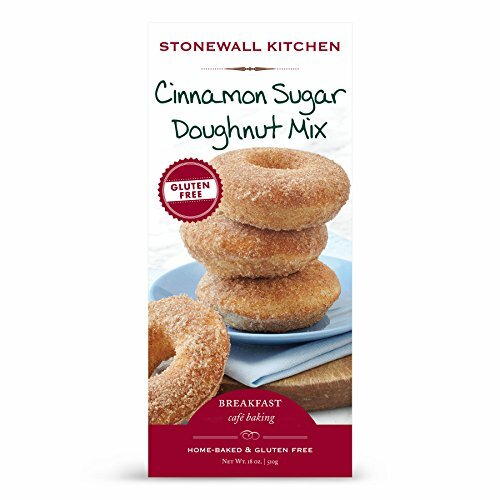 When we tested these doughnuts we really couldn't tell the difference between this Gluten Free Cinnamon Sugar Doughnut Mix and our regular version. Feel free to indulge your sweet cravings with these sugary treats that are easy-to-make and so satisfying. They have the added benefit of being baked, not fried for even more good, wholesome eating. Contains milk. Certified gluten-free and Made in the USA. 18 ounces. If you have any questions about this product by Stonewall Kitchen, contact us by completing and submitting the form below. If you are looking for a specif part number, please include it with your message.